“Little Boy” is a film set in World War II-era California that focuses on the personal and spiritual struggles of a family’s youngest child who simply wants to see his father return safely from the Pacific theater. In the film, Verastegui portrays Father Crispin, a young, brusque and devout priest, perpetually clad in cassock and biretta. “When Alejandro Monteverde wrote the script he came to me and he said, ‘This movie is designed to wake up the little boy that we all have in our hearts,’ because sometimes as we grow up, he falls asleep,” Verastegui told Catholic News Service in an interview. “What I mean by that,” he explained, “is our capacity to love big, to forgive big, to do great things with your life” sometimes becomes dormant. Little Boy, also known as Pepper Busbee and portrayed by Jakob Salvati, has a spiritual awakening and a strengthening of his own faith, at first. So begins Little Boy’s journey of personal growth through prayer and service to others by performing the corporal works of mercy, which he reads off a list instructing him to feed the hungry, visit the sick and imprisoned, shelter the homeless, clothe the naked and bury the dead. 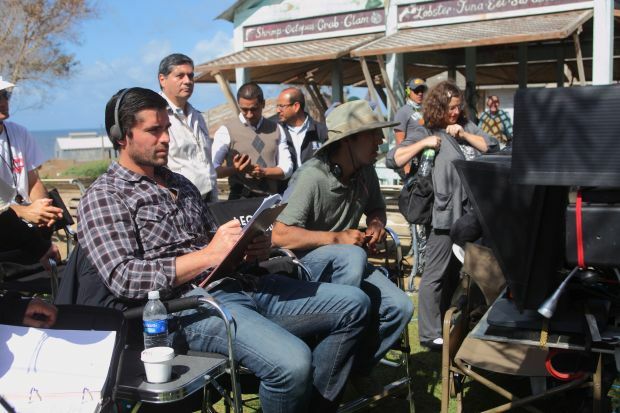 “This message is what the whole movie is about,” Verastegui told CNS. The movie was about a young man’s efforts to convince a single pregnant woman to not go through with a planned abortion. “The best part of Bella,” Verastegui said, “was not all the awards that we ended up winning, thanks be to God. It’s all the letters and the emails that we receive every day, even two today, from young women who were pregnant and scheduled to have an abortion and, by the grace of God, after they saw the movie changed their minds and kept their babies. Verastegui, a co-founder of Metanoia, hopes to see a similar reaction to his newest film. “Little Boy” is expected to be released in theaters April 24 and also features actors Kevin James and Michael Rapaport.